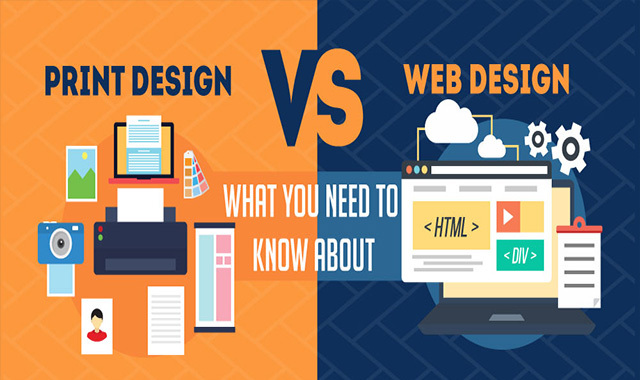 Web Design vs. Print Design – What You Need to Know About #infographic ~ Visualistan '+g+"
Being a graphic designer, it is important to know the similarities and differences between print design and web design. Since there are many similarities between the two, design standards don’t change. But there are many people who are not fully aware of the differences between the two and design both with the same mindset and approach. For instance, when a design is created for print medium such as magazine, flyer, brochure, the way users interact with it is entirely different to a website. The experience is about turning pages and moving through the information. In addition, you need to consider various factors such as aesthetic design, quality of the paper the design is printed on, color, texture, weight and finishing. All these things become the part of the experience of the piece as you see it, pick it up and feel it.